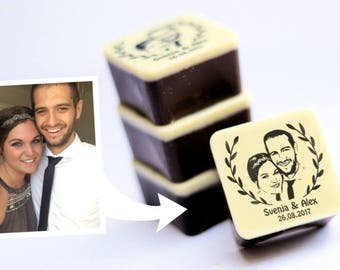 With your very own photo stamp, you can easily decorate your (wedding) paperness and, for example, give your envelopes, invitation cards a very personal touch. In addition to the portrait of you, the stamp can also be personalized with your desired text such as name, initials, date, address. 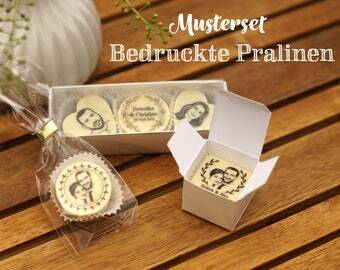 As a Template for the Photo Stamp, I need a good Photo, which you send to me by Email to fotogruesse [!at] yahoo.de. It Is best to send me 2-3 Photos to Choose from, as not every Photo is equally suitable. The wooden photo stamp shown here is angular and is about 5 x 5 cm tall by default. 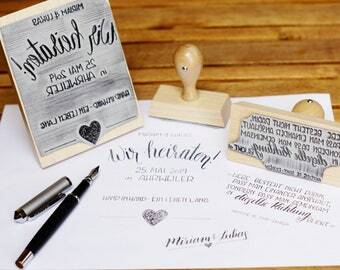 You want to use the Stamp Design for Printing Your invitation cards, menu cards, Etc.? 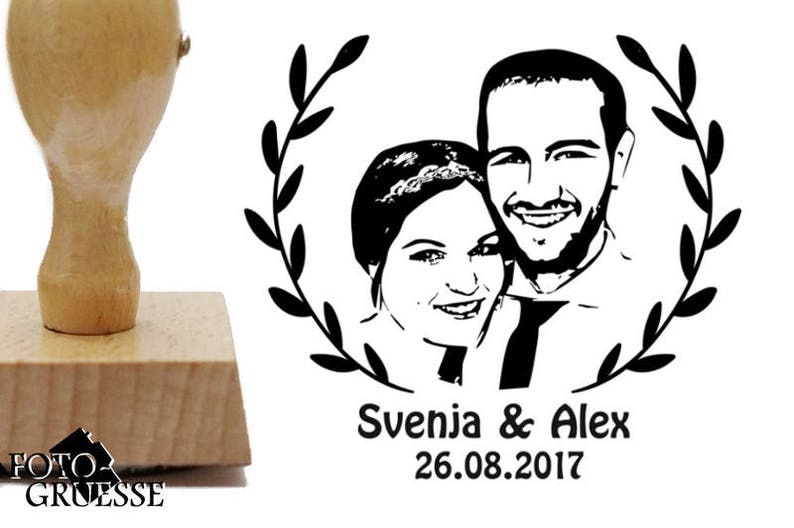 No Problem at an Additional Cost of €30: Your Personalized Stamp Motif will be received as a PDF file and ê file. If you add the option of "correction deduction," you will receive an advance view of the finished stamp motif by email. The correction deduction includes up to 2 KORREKTURDURCHLÄUFEN with FREE NOTE-no new designs. The correction deduction refers to only 1 (!) Photo. If you want the Voinspection of more photos, €25.0000000 will be added per additional photo. Der Stempel ist wunderschön geworden! Angela ist sehr nett und antwortet auch sehr zügig. Wünsche und Änderungen hat sie genau so übernommen wie gewünscht und der Stempel kam problemlos und pünktlich an. Ich kann sowohl den Service als auch das Produkt nur wärmstens empfehlen. Sehr, sehr schöner Fotostempel. Vielen Dank!